The world of art can be endlessly strange and wonderful with many twists and turns that will constantly keep you on your toes. For instance, we are sure that when the art of photography made its entry into the visual world of art, many may have dismissed it as black magic or something that will never survive. Once they got over the belief that photos and photography does not steal a part of your soul away, they started feeling that the beginning of photography would mean the end of portraiture as they knew it. Soon people started realizing that while photography could be very useful in capturing the visuals in front of you, it could be an art form that will capture images, there is still importance and significance for painting as an art form. Soon both the arts started drawing from each other, like for instance photography would capture art for eternity in the reels within the camera. 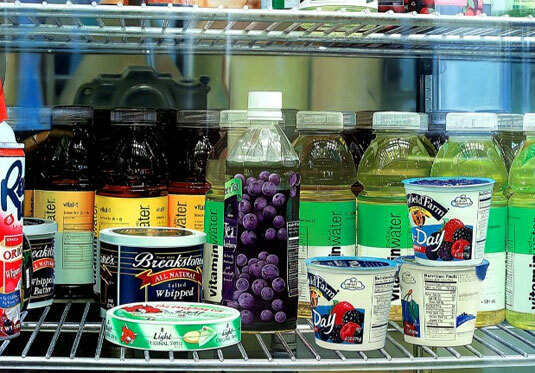 And now there is photorealistic art where art captures all the details of a photograph. 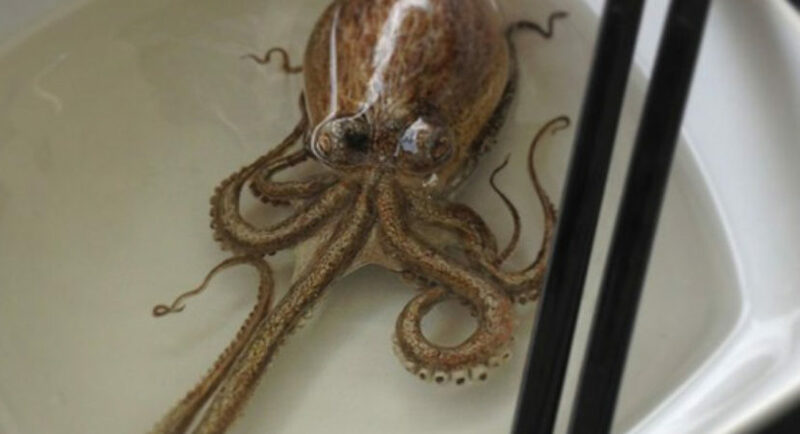 This kind of realistic work is not in the same league as realistic water drops drawings and tutorials. When you learn all about photorealistic art to adorn your space, you will realize that it is closer to realistic drawings that will have you raving over the details than any other form of art. You will find that photorealistic art can be very challenging to do and can challenge you even more than realistic animal pencil drawings. 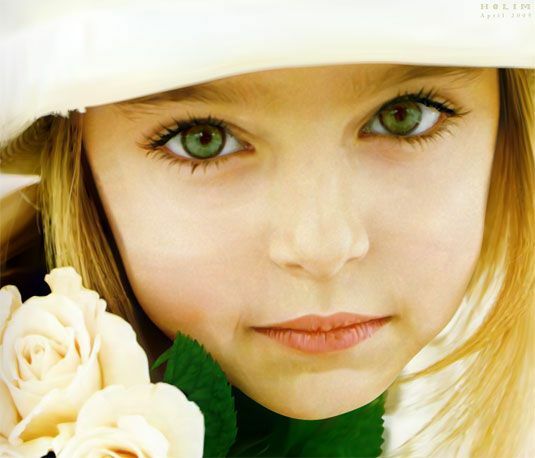 In case you have not realized it till now, then you should know that photorealistic art is an art form where an artist looks at a photo and tries to reproduce it with the same amount of details. 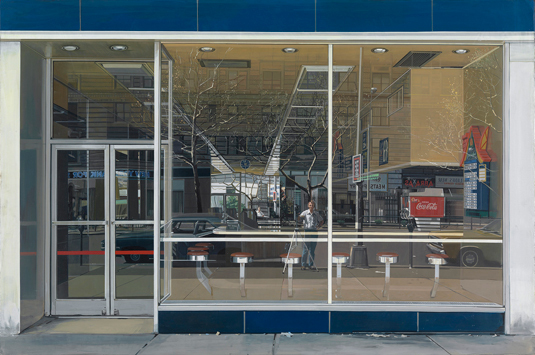 Richard Estes: A single look at the work of this artist is enough to show you that he took photorealism to the next level with even reflective surfaces coming through. 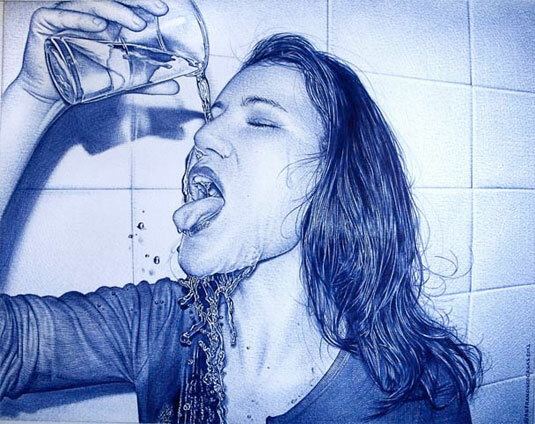 Diego Fazio: This work of art shows that the woman with water on her face looks so clear that you cannot be blamed for thinking of it as a photo. 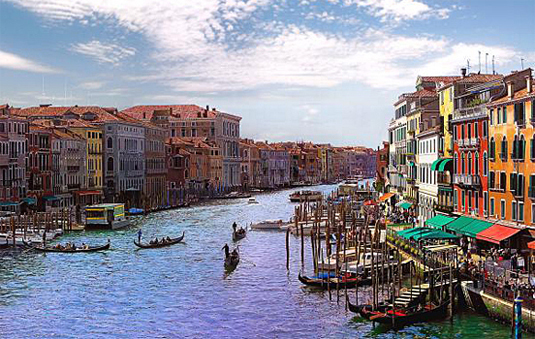 Raphaella Spence: This one is a landscape that captures as many if not more details than a photo would. 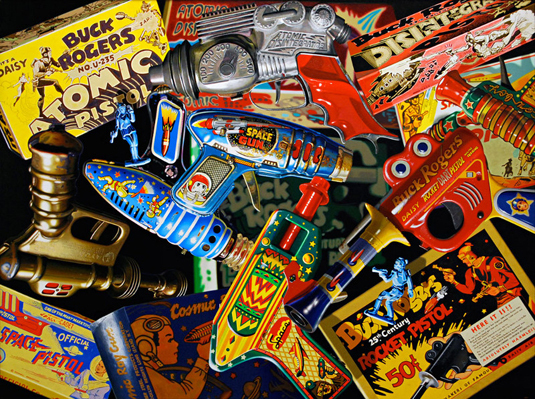 Don Jacot: Can you imagine any artist who will paint all the details of a bunch of toys which has more details than you could spend hours looking at. 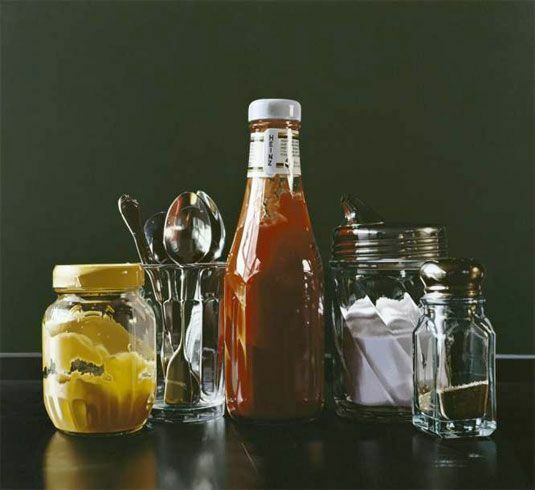 Pedro Campos: This oil painting looks as good as or even better than photo. You can almost see the pores on the skin of the person whose legs are painted. 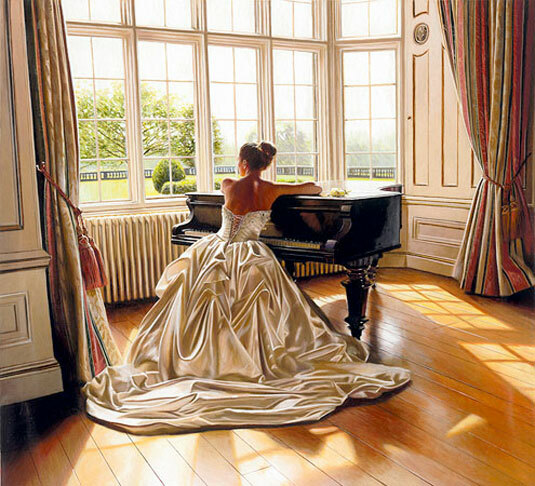 Rob Hefferman: A well lit room, the piano, the woman in a ballgown – are spot on and beautifully captured. Juan Fransisco: Who would have thought that the painting of a woman pouring water on her face could be so charming? Halim Ghodbane: The details and lighting that is shone in this painting is indeed breathtaking and has to be seen to be believed. 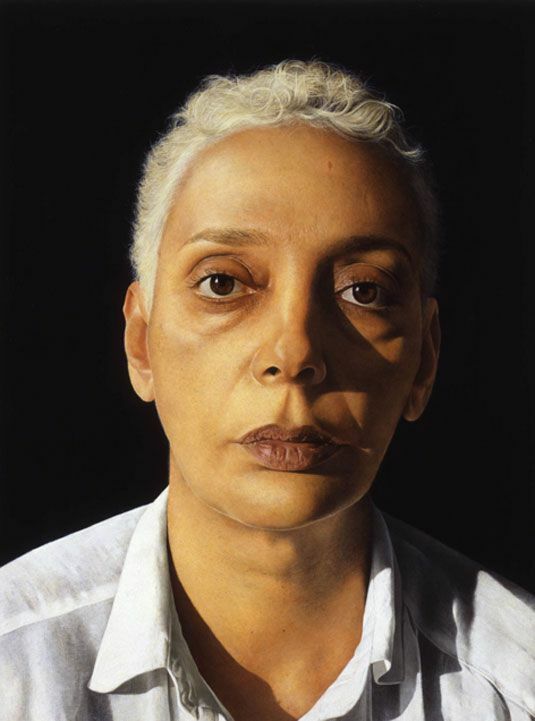 Michael Gaskell: Wrinkles, dry lips and lines of age are all fully shown in this artist’s work. 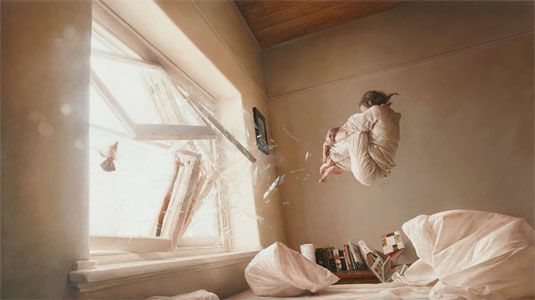 Jeremy Geddes: A fantastic twist with realistic details is the way this artist does photorealism. 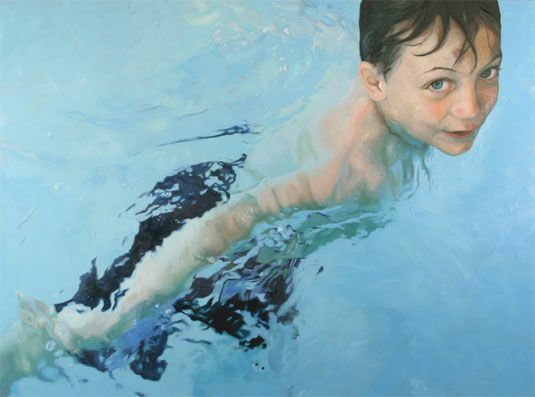 Adolfo Fernandez Rodriguez: This one chooses to go with water and all the details that water moving will have in his works of art. Roberto Bernandi: At the first glance, the scene in front of you almost seems mundane, till you realize that it is a painting not a photo. 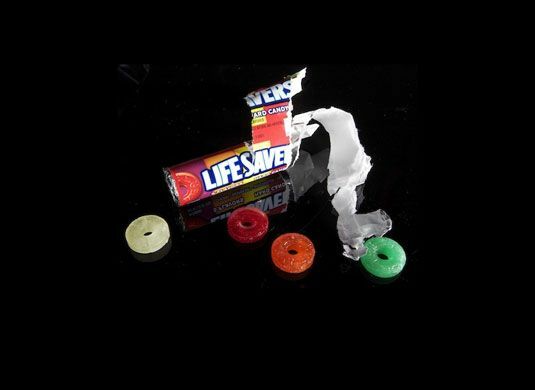 Doug Bloodworth: A painting of a candy that is so awesome that it is sweet. 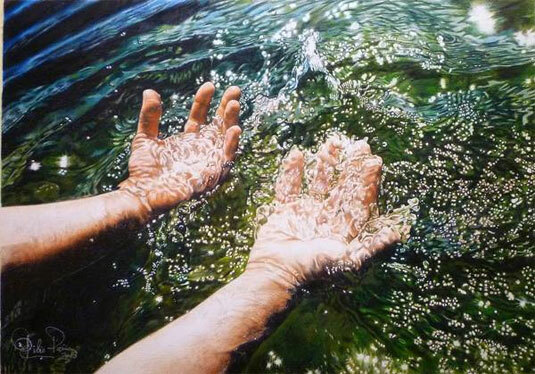 Alyssa Monks: A person swimming in water, think of the details involved in painting this photo realistically. 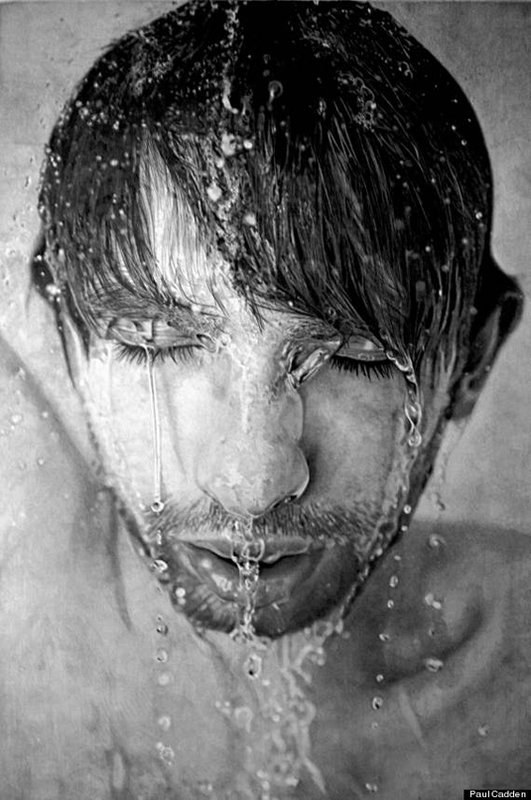 Paul Cadden: What is it with photorealism and water? Yes, it does make sense. Michael Rider: Details and more details as well as a lot of work. What else can we say about this one? 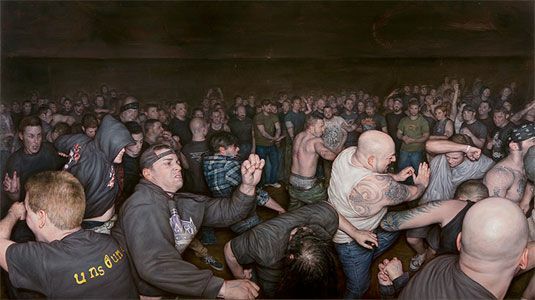 Dan Witz: This one is a photorealistic work of art and that too one that has a crowd in it. 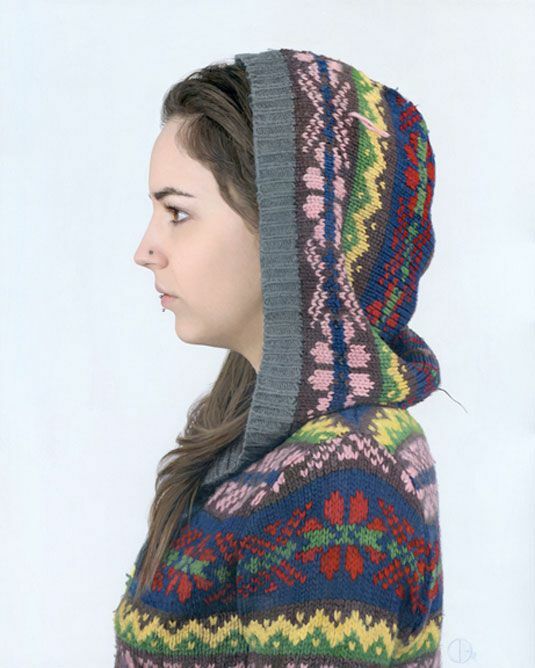 David Eichenberg: A girl wearing a knitted hoodie where you can see each stitch; you cannot get more detailed than that. 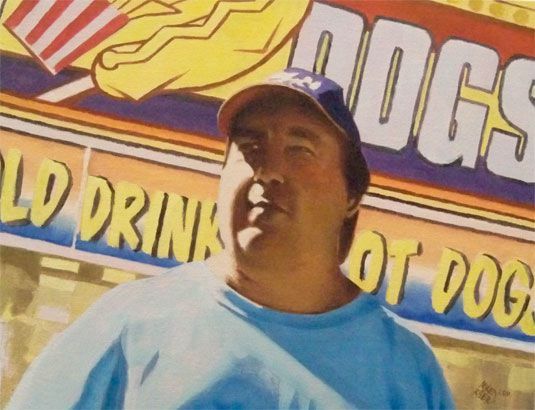 Ralph Goings: Only a great artist can take common kitchen condiments and make them such worthy art. 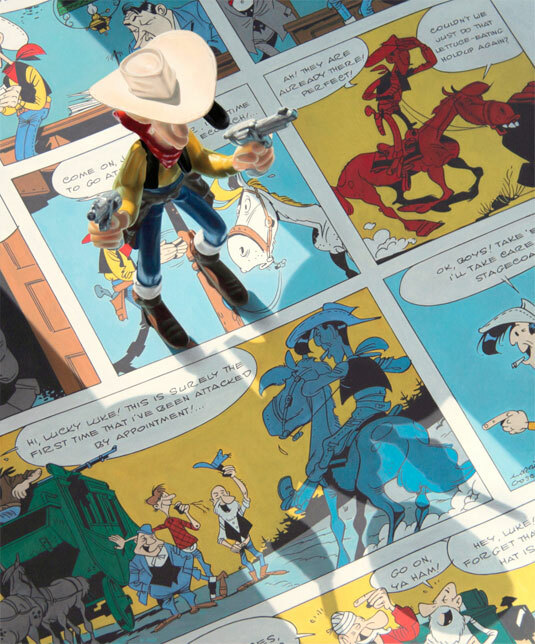 Jason De Graaf: He paints photorealistic stuff but in an alternate reality. 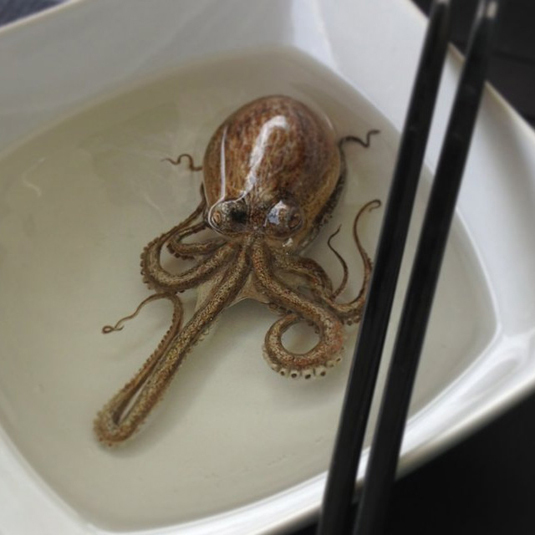 Keng Lye: Just look at what he has painted and we bet you will want to recoil or move closer depending on the way you feel about the creature that has been painted.